The Ariana Institute for Wellness Education offers an outstanding resource for those interested in mind-body therapies, featuring topics that include Reiki, Meditation, Mindfulness, and Soothing PTSD and Trauma. The Ariana Institute’s Mind-Body Therapy Manual is part of a series of massage manuals that are designed to help deepen the knowledge and understanding of current massage therapists and introduce new, upcoming massage therapists to the world of massage and bodywork. To order your copies of the Ariana Institute’s Mind-Body Therapy Manual visit www.amazon.com/author/arianavincent. 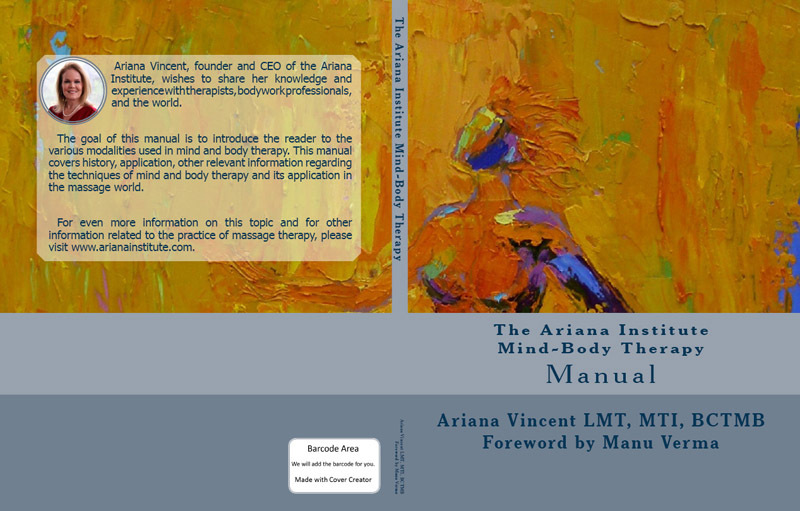 This manual incorporates detailed protocol descriptions, high definition instructional photos, links to the Ariana Institute’s online instructional videos demonstrating a wide variety of techniques, marketing and practice building strategies, and resources for advanced learning to encourage a comprehensive understanding of mind-body modalities that can be offered in a massage practice. The Ariana Institute’s therapy manual series has been over 16 years in the making and is a monumental achievement for the Ariana Institute. The Mind-Body Therapy Manual is a perfect source of deep study for massage therapists and those seeking to expand their understanding of mind-body therapies and further cultivate their practices! Here is the foreword to the Ariana Institute’s Mind-Body Therapy Manual by Manu Verma, Independent Health, Wellness and Fitness Professional. When I attended my very first Vipassana meditation retreat in 1998, almost 15 years ago, I still remember listening to founder Mr. Goenka talk about how every time we get angry, every time we refuse to say what we feel, every time we resent something, we put a knot in our spine, and over time the spine becomes fully knotted. He said that practicing Vipassana is therefore a process of undoing the knots, one at a time. This made a very profound impression on me and to this day I am still reminded of it every time I study, practice and teach yoga. Every pose I teach helps people undo their spine one knot at a time. It’s good to see how that wisdom, which probably was limited to so few people in the Vipassana hall at that time, has made its way out into thousands of contemporary yoga studios across the country. The mind-body is a sacred garment for the indwelling spirit. In stress of daily living it can suffer a good deal of wear and tear. Excessive pressure to survive, raise the kids, the toll the demands of work take on our relationships, the physical neglect, illnesses the constant fear of impending old age and death leaves most of us traumatized. No wonder, that in the very first section of this book Ariana addresses helping healthcare practitioners deal with the victims and survivors of trauma. 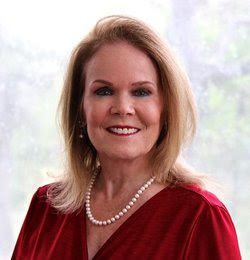 The guidelines she provides are extensive and center around one single purpose: to bring oneself or one’s client in the present moment so as to be able to re-live in our present body. The following sections deal with the traditional healing through Reiki. In the Sadhana Pada of the Yoga Sutras, Lord Patanjali says, “The pains that are yet to come can be and are to be avoided.” If I had to apply this philosophy to everyday life, I would say that it is a lot easier to stay healthy than to recover from illness. And staying healthy can be very spiritual discipline in itself, since one can serve God in the heart so much more effectively with a body that is healthy than with a body that is sick. Giving and receiving Reiki can be extremely therapeutic. When one invokes the symbols of Reiki, one is literally inviting the mercy and blessings of God. This book is intended primarily for massage therapists who are looking to go deeper with their studies through continuing education. And for them, this book is a gold mine – it not only discusses the therapies but also delves into the ethics, protocols and self-care tips. It explains “energy transference,” which often gets lost in other books that are simply a collection of techniques. It guides you through the business aspects of setting up a successful massage therapy practice, and having worked for myself for a decade or so, I find this section to be very relevant and important. It is this business acumen that transforms a talented artist into a successful talented artist. Having lived in yoga ashrams, learning and teaching for the last 15 years or so, I have developed a genuine appreciation for teachings and writings that are authentic to the source; where the only sole purpose of the author is to explain philosophical concepts as intended originally by sages and saints, instead of trying to push one’s own agenda in an attempt to garner respect and gather a following. Books written in the former way have a truly transformative power. I am pleased to say that Ariana’s Mind Body Therapy Manual belongs to this category, with a genuine intent, bonafide techniques and credits given where due. What impresses me is the thoughtful insight Ariana has provided, and the time it must have taken her to compile it. Having known her for years now and having witnessed how much of a perfectionist she is, this must have been a monumental task, one that only a person who loves the art so dearly could have completed so well. This is the kind of book that I would always keep handy and refer to very often. And every time I do I know I will find something new, or read what I have read before but realize a new meaning or application. The pages will get creased over time, have stains of tea or coffee and the binding will probably come apart as I make copies of pages to share with friends. And after years, when I decide that it’s time to get a new copy, I’m sure Amazon will have kept it perennially in stock, ready to ship! The Ariana Institute’s video introduction to the Reiki, PTSD and Trauma Relief, Meditation, and Mindfulness CE courses can be accessed below or on the Ariana Institute’s YouTube Channel at www.youtube.com/user/ArianaInstitute. To order your copies of the Ariana Institute’s Mind-Body Therapy Manual visit www.amazon.com/author/arianavincent.